I’m not ready to reflect on dLRN15 yet on the interwebs, but here is the paper that I presented there at Stanford University, October 17, 2015. Thank you, lady leaders Amy Collier, Bonnie Stewart, Lee Skallerup, Adeline Koh, Kristen Eshleman, and (and others) for supporting me in the audience. Joshua Kim, thank you for the encouraging smiles–there were several frowns as I sped up and totally lost control of my slides. Also, the mention/misuse/idealization of the Amish in the preso before me got my heart rate up, so allow me to recommend The Devil’s Playground. I’m still in awe that anyone missed Rolin Moe to listen my train wreck preso, so my sincere gratitude for attending. For those of you who could not be there, here is the draft in its entirety. I tried to cite scholarship that is available on the web so that any adjunct, sessional, casual, or part-time teacher can access this work when you are in between contracts without access to data-bases. In one year, my position in at a suburban community college’s eLearning department changed four times. First I was hired a consultant, then as a faculty-in-residence Instructional Designer with an eventual promotion Instructional Designer. After a failed national search, I was promoted to director, largely in part because I told the dean, nobody knows what an instructional designer is, but they all know we don’t have a director. Thus I moved into administration taking a giant leap from an adjunct to an eLearning Director. The move was a bit controversial among my colleagues who were also friends. At the time, we were going through an LMS transition and many of the faculty felt relieved because they knew me; I had an established network of colleagues from a variety of disciplines. For my friend/colleagues, they took to making fun of “my big dog status” on campus. As somebody with an English Studies background, I couldn’t help myself; I could only think of clichés or sayings involving dogs. Allow me to pause here and admit that I have a bit of an abnormal affection for little dogs. The best little dogs do not know that they are little dogs. Have you ever observed a little dog among larger breeds at the dog park? 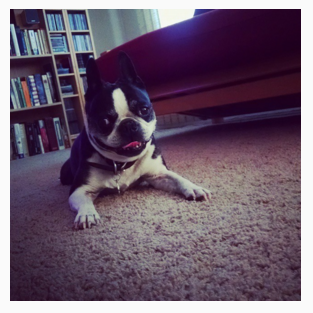 Once at a dog park in Seattle, my beloved Boston Terrier, Elroy, knee-high at just a year old and 25 pounds was too rough and rowdy for the quarantined small breed dog park. He overwhelmed small dogs that should have been his peers. When I let him off the leash in the big dog park, he would look for the biggest dogs and engage them to chase him. My heart was in my throat the day I watched four muscular pit bulls chasing him like he was a mechanical rabbit at the dog track. I’d never seen him so happy as he cut them off with a 180 degree turn tricking all of them. Missing teeth? Rowdy bar fight 2006. This all got me thinking about the little dogs, who know they are little dogs in organizations in higher education. When those little dogs ask hard questions, the big dogs see you as a pack agitator. Or worse still, they ignore you and you don’t exist. That’s a bit what it feels like when you’re an adjunct seeking professional development funds among full-time faculty. Often, it seems that all but the most barren peripheries of the park have already been well marked, and that which is ostensibly the community water bowl has been placed just beyond your reach. Depending on the institution, the title “faculty” may be defined by administrators as either tenured or tenured-track. Why invest in adjuncts, administrators will ask, when they will just get jobs someplace? 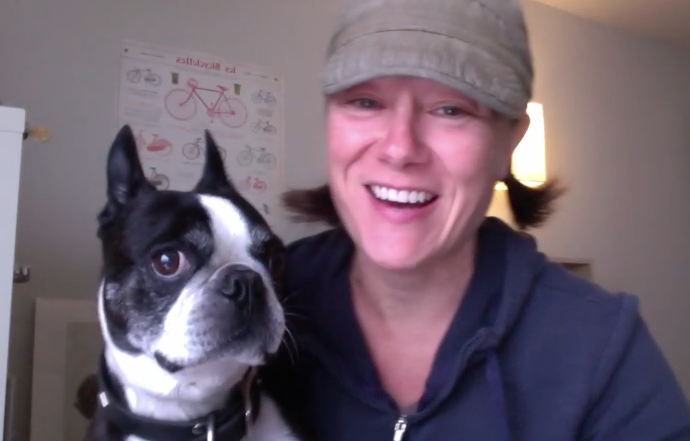 Participate in CogDog’s narrative call, y’all. He shares so much. Hook a brother up. She and I, in the grand scheme of the open education movement are little community college dogs, yet we know the real power of the big dogs. Sitting here today, I feel very much like the Chihuahua among the new foundlands of educational technology scholars. Reading your work—on Twitter, on blogs, in academic journals—helped me situate what I could and should care about as an educator interested in technology. My philosophy as an instructional designer is to help create what did not exist for me as a student, as a teacher and—especially—as an adjunct. Today, as I have access to some of the best minds in this field, I want to ask questions of how to advocate for that untapped potential of the digital space for adjunct faculty collaboration. The efficacy of online instruction is comprised by the lack of collaborative professional development opportunities for adjunct faculty. The way we change this locally and systemically is to fund, support, and advocate for faculty learning communities—but they must be online with flexible course design. Most of the scholarship about Faculty Learning Communities, or FLCs, ignore the digital space and assumes that meaningful faculty collaboration must take place in the synchronous face-to-face setting. What would it look like if we connected a regional consortium of faculty using the digital space? What would it look like if we connected a small liberal arts college with its satellite campuses and institutes to the main campus community? 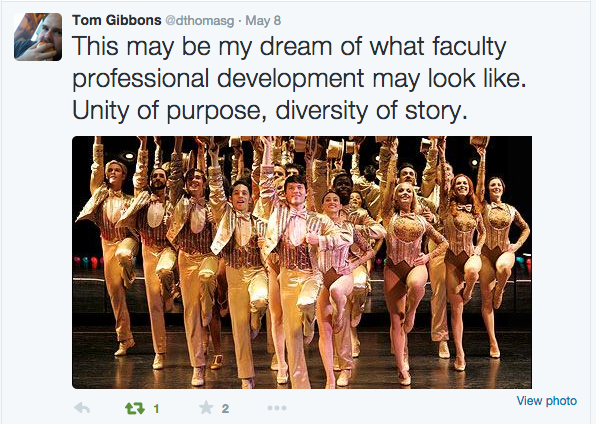 What if meaningful faculty collaboration was an institutional priority? What if we funded asynchronous networked learning within such a consortium or organization? In short, we need to imagine a Communities of Practice 2.0 that incorporates the digital space. How we can network, motivate, and mentor a new community of practice(s) for teaching and learning in the digital age? The Miami University definition is “an FLC as a cross-disciplinary faculty and staff group…who engage in an active, collaborative, yearlong program with a curriculum about enhancing teacher and learning with frequent seminars and activities that provide learning, development, the scholarship of teaching, and community building (Cox, p. 8). Who better than teachers to explore learning through their occupation as a community of people sharing a craft? Consistent attendance is a requirement cohesive sense of community. Maintaining a network takes time. Learning takes time. If we think of teachers sharing their craft in a community of learners, then the question of how and when to practice is what I tried to investigate when I co-facilitated an FLC in 2014-2015. For our FLC, we were ambitions by trying to connect five colleges within our consortium who were facing a similar challenge. We agreed to meet face-to-face and online using Blackboard Collaborate. By setting up a book club where we all read the same text; we also got to select a text to match our individual research. The conditions of the grant allowed us to buy books and some refreshments, but we could not pay for labor. Books, I thought, could be a generous gift to encourage conversation and participation. Agreeing to be a part of this FLC meant taking on additional work, or “other duties as assigned,” and in theory, we had a fantastic plan for meaningful discussion and sharing of research. My failure was in the way I connected members of the FLC. Everything fell apart with the usual complications of diminished administrative support, varying teaching schedules, and the loss of any momentum when our primary mode of communication was email. Three months into the FLC, the specter of failure loomed as my emails and Doodle polls got lost in the eFlood. Knowing that it was going to be my job to report on the budgetary substantiation from a theoretical standpoint, I redirected my focus to explore what an FLC might look like if it was completely online from the beginning. Send the books, read, think, and then post. Just like that. Like many researchers with a failed research plan, I used my mistakes as a way to experiment with questions that I knew might take me years to answer. With the right encouragement, I thought, maybe I could take this old FLC dog teach it a new trick. 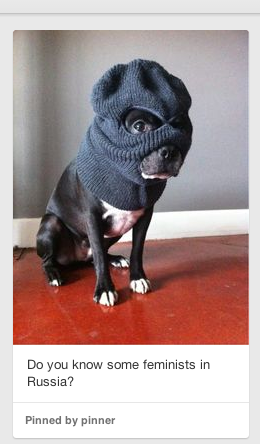 From when I used to entertain myself on Pinterest. Labor is political. As I read about the history of FLCs in the United States, I grew frustrated with the privileging of the synchronous. What we used to/still call brick and mortar model of collaboration. I needed to look at the history. In “Assessment of Faculty Learning Communities: Considering Social Dimensions of Participant Choice” Goto, Marshall, and Gaule (2009) explores how faculty learning communities are a powerful means to encourage vibrant intellectual exchange and professional growth on college campuses. Moving educators out of traditional departmental and disciplinary silos helps to foster an institutional culture of collegial interaction (emphasis in italics mine, all quotes below from this report until next link). The innovative part came with the follow-up meeting, during which participants were expected to devise ways of applying the e-learning tool that was demonstrated in the workshop. This went beyond the typical drive-by tour of gadgets that sometimes occurs in technology workshops. Instead of just training faculty on where to click, the Teaching Lab helped teachers contextualize how integrate and experiment with the tool into their classes. What is also interesting to note is their astute reflection on the power of the FLC grant locally by invoking the clout of the state board, which “elevates the status of FLCs in the eyes…of the administration.” In yearly reports and other forms of braggadocio, upper administration could say that their institution won this prestigious grant. Administrator ego, like that of the academic, can be a powerful motivator for institutional change. Administrators need wins. The support of administrators at local institutions to pay adjuncts was mentioned briefly, and most of the analysis centered on faculty who participated in these FLCs. Financial incentives, in the way of stipends “sen[t] a clear message to faculty that these activities are valued by the college.” A few years later, as a result of this study, the state board created training for the facilitators to mentor new faciliators using ten methods of consideration. They advocated for the need to establish safety and trust, openness, respect, responsiveness, collaboration, relevance, challenge, enjoyment, spirit of collaboration, and empowerment. An esprit de cour is also important during the yearlong collaboration. FLCs increase communication and collaboration amongst faculty who, by the nature of their work in individual classrooms, are often isolated from their colleagues. How do you establish an esprit de cour with people who feel isolated from the very model that is trying to include them? Cox, Richlin, and Schulman answer this question by stating “the challenge for campus leaders is to devise an implementation strategy that pulls people towards voluntary FLC acceptance. It is easier to implement a change with people than to change people” (p. 45). In Creating the Future of Faculty Development: Learning From the Past, Understanding the Present, Sorcinelli, Austin, Eddy, and Beach (2006) conclude their anthology with a chapter titled “Faculty Development in the Age of the Network.” As with most educational theorists who are trying to engage readers with more questions than answers about the future (high-five! ), they present their ideas as the fourth stage of the history of faculty development. The Age of The Network has roots in the movements from the Age of the Scholar, The Developer, and The Learner. Although the titles of these historical movements suggest a focus on the people, the institution still values the investment in faculty development as either prestige or proof of accreditation. The Age of the Network suggests that we are now more enlightened about professional development. As the context for higher education changes and faculty members assume new roles and responsibilities, faculty development professionals and senior institutional leaders must grapple with the question of the place of faculty development within the institutional landscape. Will faculty development be a useful but marginal resource, or will be conceptualized and organized in ways that make it central to institutional quality, health, and excellence, and essential to individual faculty members’ growth? 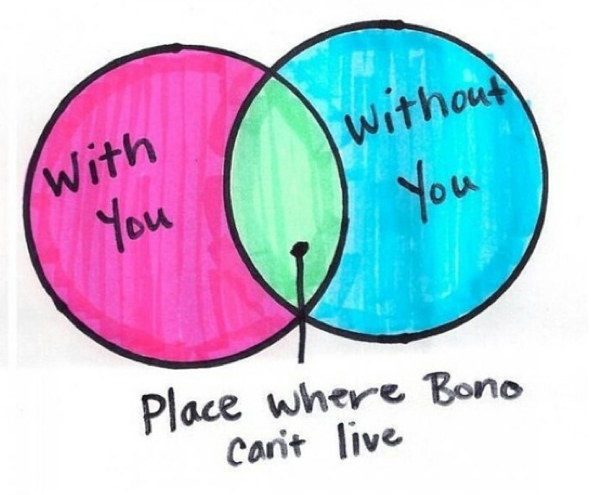 Where Bono can’t live is the space between the past and the future. What doesn’t get funded with professional development in EdTech. When the author posed this same question to the attendees of a POD Network conference, they created wonderful images of faculty developers as Venn Diagrams, sherpas, or candle bearers. Many of the developers’ images of the future of the field of faculty development were about linkages and connections. Faculty developers drew themselves creating opportunities for faculty and other constituencies to network, communicate, mentor, and learn from one another (p.176). Yet, those connections are not what is valued in tenure portfolios, scholarship, and nor is it encouraged among our adjuncts. Usually, in my corner of academia, and perhaps in yours, the network has been something people create on their own time. This divide is counter-productive to sharing meaningful ideas for professional development. My day job, so to speak, was to investigate the use of the digital space for the revamping of our teaching and learning center with this FLC. During that time, I participated in the two Happenings facilitated by Mike Caulfield using Ward Cunningham’s federated wiki as my volunteer night-time/weekend job. The ideas of not-yetness at an MIT or Stanford are so far beyond the realm of my little community college that they would intimidate or even shut down emerging technology is a discussion for all but a few of the most technologically-edgy of faculty at my school. Collier, Ross, and Chamberlin summarize the day job notyetness, yet night and on the weekends, pardon the pun, it was happening. Since December 2014, I’ve been a part of a life-changing network that feels more like community with the federated wiki. 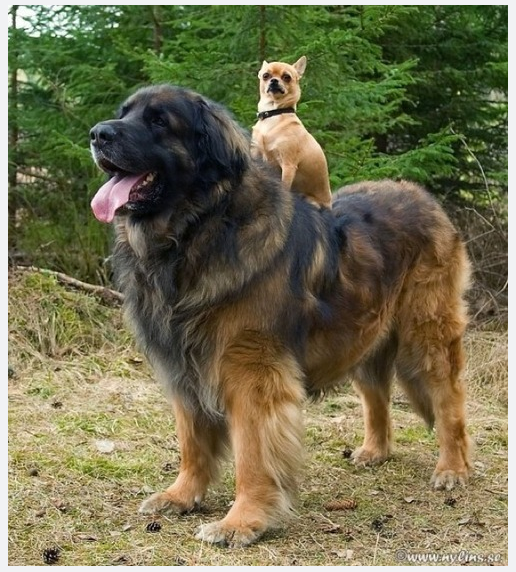 I’ve learned the power of The Newfies who nudge the Chihuahuas. And this process has taken time. It’s been a meaningful practice with my learning and the learning of others over time. Time. It’s my lived experience in “the garden” that Mike Caulfield got us thinking about in his keynote that I am attempting to advocate for others. And it’s hard to give people–teachers–time to learn when they aren’t around. Sessionals. Casuals. Adjuncts. Part-time. The roles and concerns of part-time faculty differ from college to college, and in fact, considerable differences emerge across divisions and departments with the same college. But what really should and often does matter most to part-time faculty is the same: effective instruction and support for students. It is the institution’s job to create the conditions that encourage and enable that work (p.3). Did you hear that last sentence? It’s the institution’s job to encourage and enable that work. Data on the structured group learning experiences also show that part-time faculty are rarely engaged in any role other than teaching. Planning and designing the experiences, advising or referring students to them, training related to the experiences, and all other non-teaching activities are typically undertaken by full-time faculty (p.12). As college leaders consider how to strengthen the roles of part-time faculty, a key element is the importance of faculty members’ interactions with one another, not just students. Part-time faculty need the opportunity to form collegial relationships, discuss data and the questions they raise, and to benefit from peer feedback on their teaching. In many cases, particularly for faculty who teach only in the evening, on weekends, or online, part-time faculty don’t have the opportunity to pass their colleagues in the hall (p.15). Teachers who feel supported and valued transfer that satisfaction onto their students. Instead of seeing this task as daunting, we can facilitate professional development by understanding the symbiotic nature of student and teacher success. As we look for more ways to ensure student success, we have to think of ways to support teachers who have long-term goals and short-term contracts. If part-time faculty teach a majority of course sections, as they do at many institutions, colleges cannot implement a student success agenda without involving part-time faculty at a higher level (p. 17 of CCSE 2014). We need a Communities of Practice 2.0 using the digital space. We need to blow up the edges of the FLC model and expand its potential to include the digital space. The FLC model, as it stands, works for small-scale professional learning that is campus-specific. Departments and divisions can change their cultures bit by bit with the FLC model. Administrators on campuses should fund their faculty to spend this time together. You can create an FLC where you tempt participants with free donuts and coffee or you can be honest. Teachers do not know up for professional development unless you pay them. You have to pay people or they don’t show up. You have to pay people. that assessments of learning communities take into account the nature of the learning community influences the outcomes, participant characteristics influence outcomes, effects of learning communities on learners are indirect, and well as effects of learning communities may vary among institutional types. Why don’t we ask the same question about professional development? Why hasn’t technology changed teacher collaboration? In “Institutional Considerations in Developing a Faculty Learning Community Program,” Despite seeing little reference to taking the digital space seriously, Milt Cox makes one comment that rings true. Unfortunately, learning communities always seem to push against an institutional glacier that grinds away at innovation, smoothing it out and trying to make it like everything else (p.8). To enable this mindset for faculty, there are three key conditions that help facilitate this work–access, authority, and resources—depending on your context you most likely have two of three. I’d like to say that I have concrete solutions to share. I’d like to say that I’m telling you something that you haven’t already heard. I’d like to tell you that I have all of the answers grounded in theory and hard data, but I can’t. It’s not there yet. I do, however, have access to some of the best minds in EdTech today. So I’d love to open up discussion by asking you three big questions for about professional learning. What do you do at your college (and how well does it work)? What do you do to incentivize professional learning (for FT and PT)? What would you like to learn from your colleagues? What would professional learning look like on your campus if nobody could say no to your ideas? Please respond to my blog, post your thoughts, or email me alysonindrunas@gmail.com. I’ve been collecting the responses from faculty developers since our Unconference last May. I realize this presentation is largely anecdotal. Soft-research. Not grounded in traditional data. I’d like to get serious about this research and help connect the dots to create the picture I’d like to see, but I need your help. collaborative journey to continually push the purpose and function of the FLC grants is not a linear one. It requires imagination and pushing boundaries and stepping well outside of our comfort zones. It requires re-reading what could be perceived as “mistakes” as the potential for new direction and expansion. We must continue to ask questions to which there are not simple or elegant answers. If you’re here at dLRN, you get it and your ideas could make a difference somewhere in somebody’s network. Your bark as a Big Dog gets heard; so I’d like to encourage you to howl. This entry was posted in Uncategorized and tagged Adjuncts, leadership, Preso, Professional Development. Bookmark the permalink. I love this… ALL OF THIS! Your collection of resources and ideas for learning are spot on. We need to be more fluid in how we develop and grown holistically in higher ed. Why do we let factions, titles, or responsibilities get in the way of cross-training and engagement for PD on our campus? A couple of years ago we formed a modified FLC at UNT called a CLC => Collaborative Learning Community which matches well with your Wenger vs. Cox remix. I shared a bit more on this spirit of collaboration for great advances here (https://techknowtools.wordpress.com/2013/01/27/a-kinder-campus-to-collaborate/) and here (https://techknowtools.wordpress.com/2012/09/30/building-communities-of-practice-in-higher-ed/)… then I got thinking about how we actually design work (https://techknowtools.wordpress.com/2012/10/31/considering-the-impact-of-work-design/) and wonder why we don’t apply these principles to our own organizations in higher ed. Riddle me that. I look forward to seeing where your anecdotes go… and better yet if you want to connect to research said things. Laura, I LOVE this response! Yay:) Lee/@readywriting expressed some interest in trying to bring this idea together for a POD presentation. It seems like a publication could help legitimize funding models for OL collaboration–which I think is the most important missing piece. Lisa Chamberlin is also very interesting in this work, so I’m sensing a collaboration here. Let me read over what you linked, and I’ll get to you. These potential connections are what #dLRN15 was all about, and it makes me giddy. Oh boy, am I. Let me take a look at the sources that you sent me, and this call, and I’ll get back to you. I’m working on a wide-open schedule right now, so I can make this deadline. I need to also connect with my new job, but I’m thinking this could dovetail with my new position.